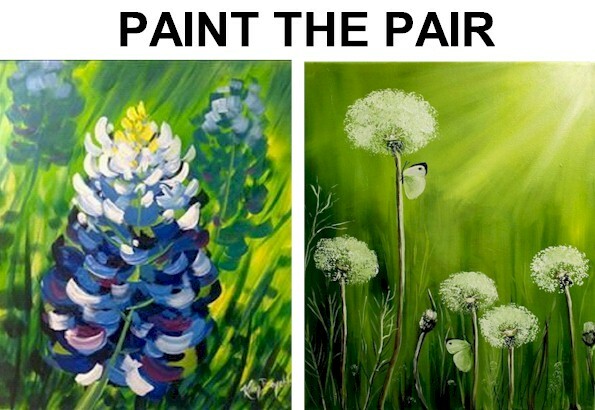 Please Note: You will be painting 2 paintings for this class. This event is open to 12 years and over. Event Info: Your admission includes everything needed to recreate the featured painting. From aprons, paints, stencil, brushes, step-by-step instruction from local professional artist and two 10 X 12" canvasses to take home! We do the set up and the cleanup. No stress for you. We just ask that you arrive early so that you can select your seat. If you are in a large group the earlier the better. This will give you time to get your drinks and any food you might like.